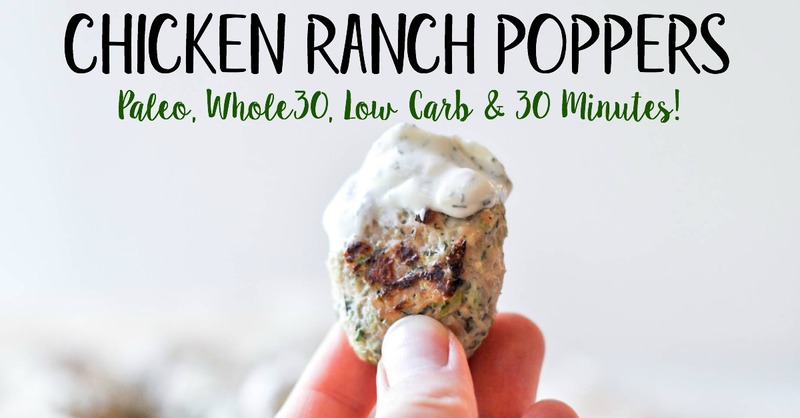 Whole30 Chicken Ranch Poppers are the perfect bite sized, full of flavor, made for dipping Popper. 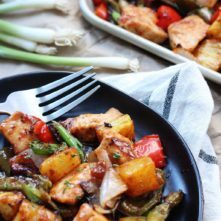 This is the perfect Whole30, Paleo or low-carb family friendly weeknight meal, or great for a quick meal prep recipe! With only a few simple ingredients and 30 minutes, a healthy “chicken nugget” alternative is on the table! Today I want to welcome Ana Ankeny, a fellow real food blogger who knows a thing or two about creating family friendly meals! Ana has 4 young boys (amazing, right?!) 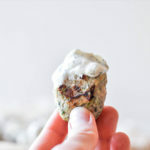 at home and somehow manages to find time to blog about the healthy recipes she’s making too! She has her own Whole30 story of healing and food freedom after going through orthorexia, and she’s just all-around an incredible woman. Thanks for being here, Ana! 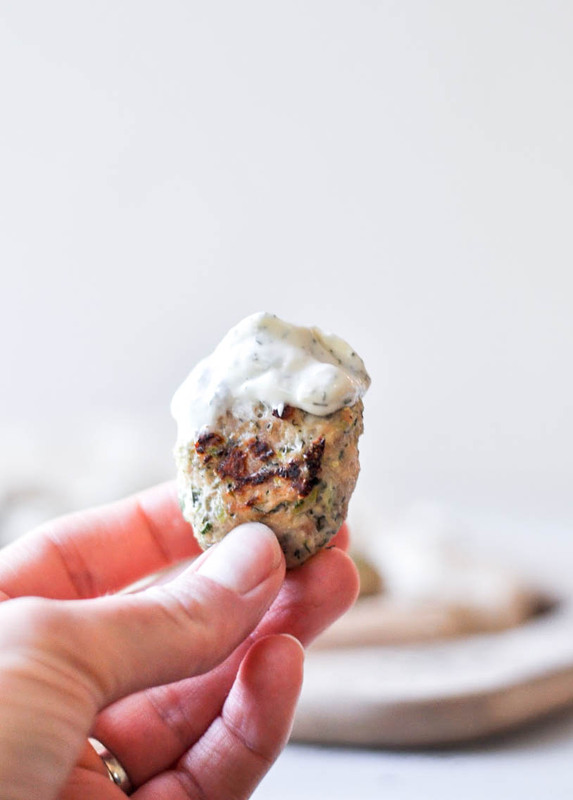 We could have named these little Chicken Ranch Poppers chicken nuggets, but that would imply a breading, and believe me when I say they don’t need to hide behind a breading. A naked chicken nugget sporting hidden veggies that is just asking to be dunked in Homemade Ranch dressing is more our style. 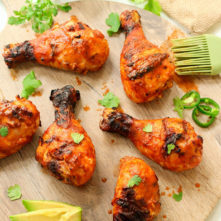 We make them bite size as it makes a quick and easy lunch for adults and even better for little kids and their little hands. I have four little boys (aged 9-2) and they are my taste testers. They’ve had to try so many new creations coming from my kitchen, they really should be called “professional” taste testers by now! 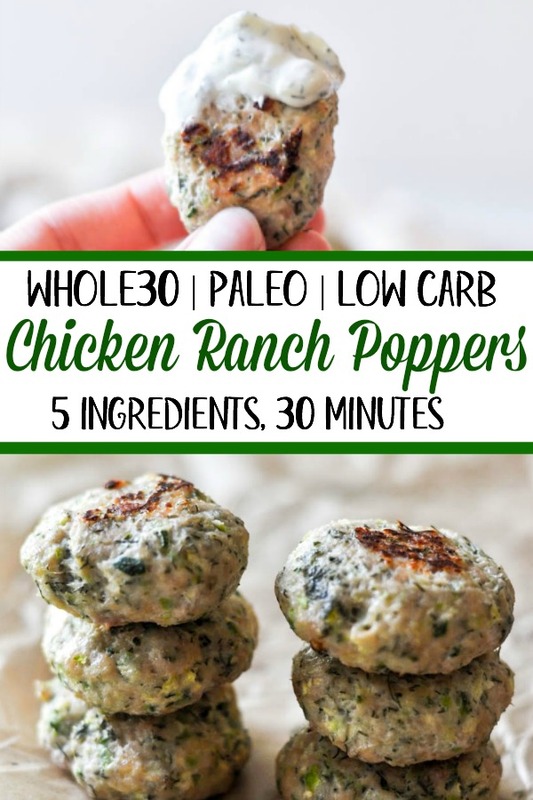 I do have to admit they were a little skeptical to try these Chicken Ranch Poppers at first. No breading, little bits of green from the zucchini poking out, but it only took one bite and the boys said the recipe was a keeper! And they ate a double batch for that days lunch! They’re soft in the inside and a little crisp on the outside from baking them. 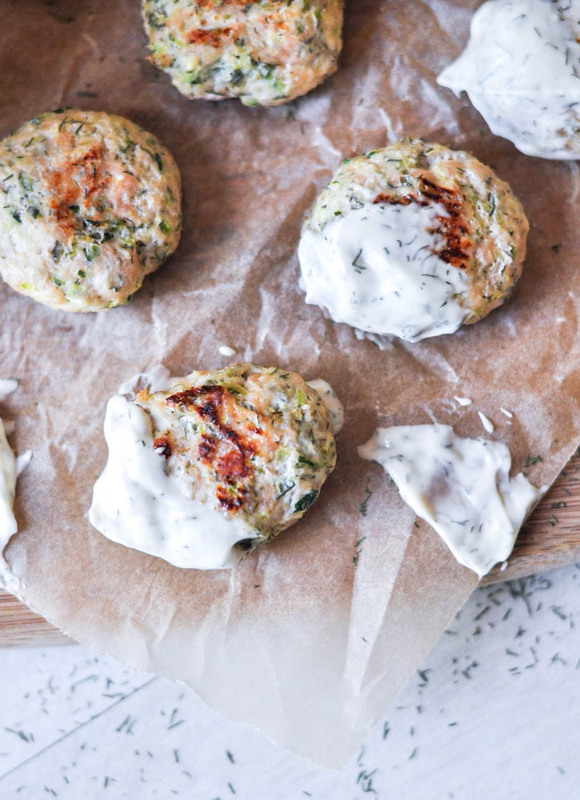 Full of flavor from onion and garlic powder, a pinch of sea salt, and my favorite…dill weed. Basically all the spices in add to my Whole30 Ranch Dressing! 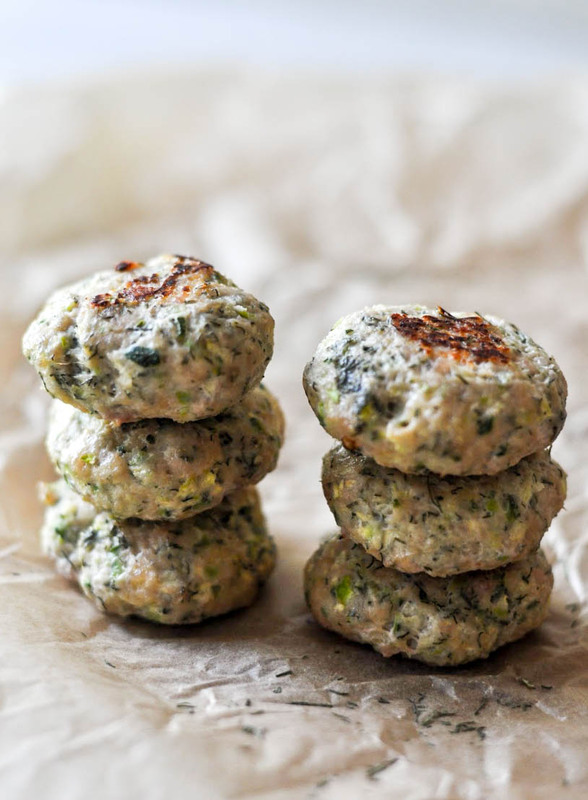 They’re quick & easy to make plus very freezer friendly. Quick and easy meaning you’re only using one mixing bowl and mixing all the ingredients together with your hands. (Unless that weirds you out, you can use a big spoon!) Now there are two ways to make the Poppers, use a cookie-dough scoop or roll and shape the Poppers using your hands. I prefer just using my hands as they have already been in the mixture mixing it all together! But your choice. Place all the Poppers on a baking sheet covered in parchment paper. When they’re all lined up and ready for the oven, pop them in for 20-25 minutes. Bake time might need to be adjusted a little depending on how big or small you make them, just make sure they’re cooked all the way through. 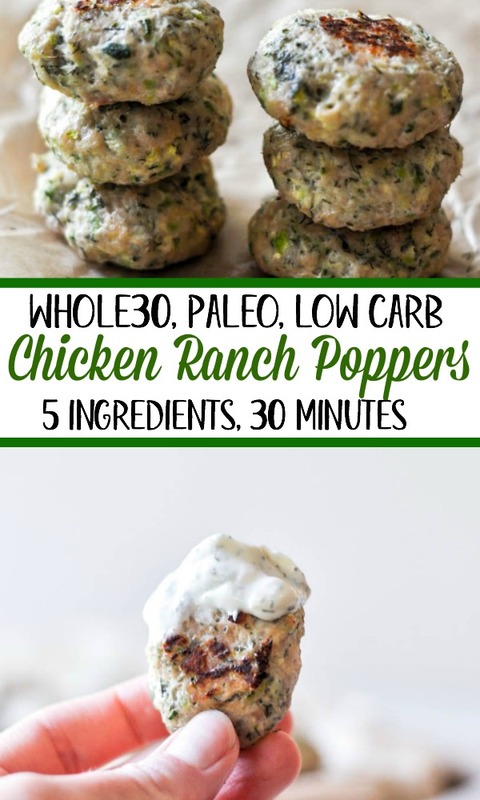 Serve them right from the oven with a side of Ranch or put them in the fridge as a meal prep item or into the freezer for a busy night and oh-I-forgot-to-make-dinner kind of occasion! Whichever way is more “you”! Enjoy! 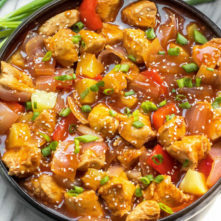 Find more of Ana’s recipes and free Whole30 recipes e-book on her website, and connect with her on Instagram, Facebook or Pinterest! In a medium mixing bowl combine all ingredients. Mix together using hands or a large spoon. Using a medium cookie-dough scoop or your hands, to scoop out a golf-ball size of mixture and shape into a round slightly flattened ball. Place on the baking sheet. Bake in the oven for 20-25 minutes or until cooked all the way through. Store leftovers in a covered glass container in the fridge for up to 5 days. Store in a freezer approved container for freezer friendly option.